John Blankenbaker was a visionary. Long before many, he understood that computers were the future. While attending the University of Oregon in 1951 he gave a talk on computers to the mathematics club. That doesn’t sound like so much today, but in 1951 it’s estimated there were fewer than 100 computers world-wide. John set out to create a computer in 1949, but soon discovered it would be too expensive for an individual to build. 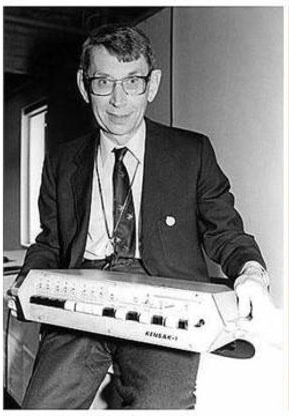 In July of 1971 John finally did it: he created the Kenbak-1, the world’s first personal computer. He understood that the capabilities of this computer were limited, but it would fill a niche – to provide a fun and educational method to introduce students to the concepts of computers and programming. Unfortunately, the timing and the target market (education) was not quite right. The price was $750 (about $4500 in today’s dollars.) Only 50 units were produced, and the design was sold. But nothing could erase the fact that John Blankenbaker had created the first personal computer. I came up with a plan and started working on it. I ran into some roadblocks and while Googling, I found the work of Mark Wilson of Christchurch, New Zealand. I sent a few questions to Mark, to which he responded that he had just been to my Altair-Duino website after seeing an article in IEEE Spectrum, and would love to see people have more access to his design and programming through a kit. This kit is Mark’s brain-child, and is a relatively quick build. I’d even say this kit could serve as a good introduction to both electronic construction and computer operation for a young person. And that’s why I wanted to make this kit available: as a living testimony to the birth of the computer revolution. You’ll receive a professionally made printed circuit board with all components and a printed manual, ready for you to assemble. This is the same processor that is used in the Arduino Uno. 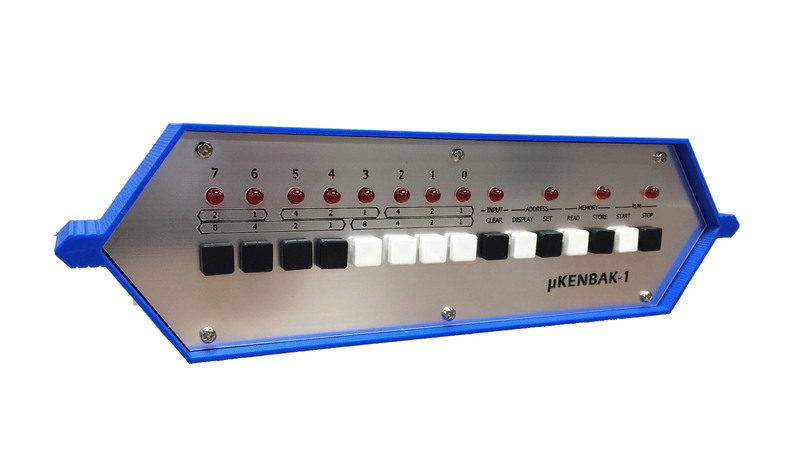 It arrives pre-programmed with Mark Wilson’s open-source Kenbak-1 emulation. This kit is a great introduction to electronic kit construction. Revive an old-time hobby by building an old-time computer! An original Kenbak-1 at the Computer History Museum in Mountain View, CA.